During my recent visit to MIT in Boston I met with Joseph Paradiso, Associate Professor and Director of the Responsive Environments Group at MIT Media Laboratory. He showed me some demos of what his lab is up to, focusing mostly on what is termed “Cross Reality”. This is when sensor/actuator networks meet online virtual worlds. Paradiso co-authored a paper that has just been released in the July-September edition of the IEEE Pervasive Computing Magazine. The paper outlines and analyzes Cross Reality experiments done within Second Life, the most popular virtual world with 15 million current subscribers. In this post we’ll give you a layman’s overview of the paper, because we think this trend is important to the Web’s future. Cross Reality is about connecting “location-specific 3D animated constructs” in virtual worlds to in-building sensor installations. In one of its projects, MIT created a cross reality environment called “ShadowLab,” which is a Second Life map of the Media Lab’s third floor animated by data collected from a network of 35 “smart, sensor-laden power strips” (a.k.a. PLUGs). MIT chose to use power strips “because they are already ubiquitous in offices and homes,” plus they have power and can be connected to a network. MIT added other features to the power strips via expansion boards – such as motion sensors, temperature sensors, and memory cards for local data logging. MIT has also created a whole portal network that maps sensors to virtual worlds, called the Ubiquitous Sensor Portal. There are 45 portals currently in the Media Lab, each one featuring a myriad of environmental sensors – such as motion, light and sound level, vibration, temperature, and humidity. They have a small touch-screen display and audio speaker, for user interaction. The Portals also act as base stations for an 802.15.4 network inside the lab, “enabling wireless communication with a variety of wearable sensors.” Each portal has an extension into Second Life, allowing people to visit the Media Lab virtually. This isn’t just a one-way process either; as well as affecting virtual worlds, portal interactions can push virtual phenomena into the user’s physical space. 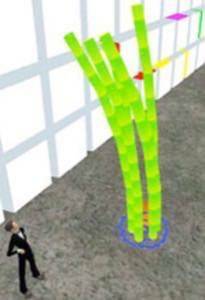 Two views of the virtual extension of a Portal into Second Life; the first shows sensor data over time, the second streaming real-time audio/video into Second Life. 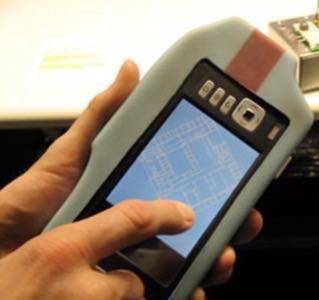 and programmed.” The lab has already begun to experiment in this area, with a Star Trek-inspired device it calls a Tricorder (image to right) and a newer device called the “Ubicorder.” Both devices provide a real time interface to sensor data.  established.” ReadWriteWeb has been following this trend closely; read our recent Augmented Reality analysis here and here. 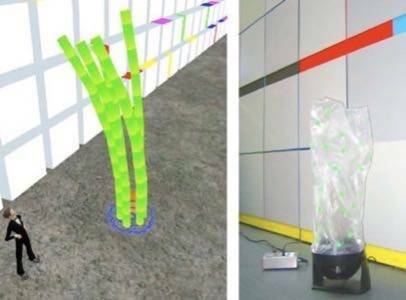 The projects of the Responsive Environments Group at MIT are enabling real world data, increasingly being provided by sensor/actuator networks, to be plugged into virtual and physical interfaces. The group is still exploring both the technical and practical sides of this, so it’s uncertain what it will lead to in the commercial world. But we’re certain it will fuel future startup innovation in the coming year or two. Watch this space!